Every day spent in the beautiful Italian city Rimini will be peculiar and unique, because there are so many interesting things to see here. 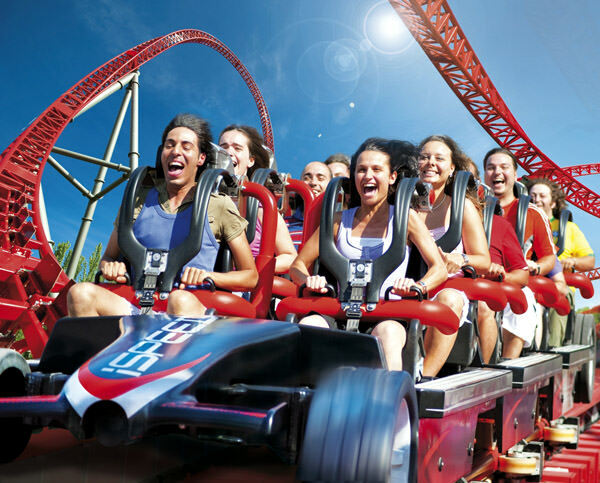 Tourists will find here entertainments and attractions for every taste. Fans of old buildings are recommended to make an excursion to San Augustin Chapel, which is considered one of the oldest buildings in this city. The chapel is an excellent example of Gothic architectural style. You can see its main features even in the interior of the building. Here you will find amazing murals, beautiful drawings, various jewelry and crucifixes that remind of past centuries. "Italy in miniature” is definitely one of the most beautiful theme parks of the city. This is a truly ambitious project of modern architects, who offer visitors to get acquainted with all main attractions of Italy in just a couple of hours. 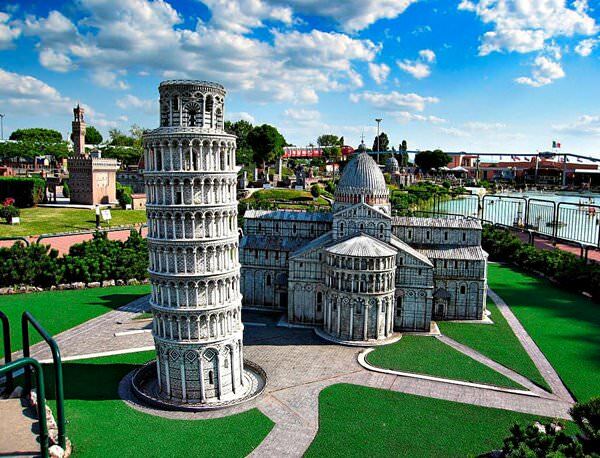 In the park you will find 270 miniature models of monuments and buildings which will be particularly interesting to visitors. The choice of museums and galleries is simply great. Aviation Museum is a real open-air showroom, where you can see more than forty airplanes that have taken part in hostilities with Iran, Korea, Vietnam and the former Yugoslavia. The exposition is entirely devoted to military equipment. Film lovers certainly have to visit Fellini Museum that will tell you about life and work of the great director. Sismondo castle is extremely popular with lovers of history. It was built in the 15th century and originally served as the main residence of Sismondo Pandolfo, the ruler of the city. The fortress is perfectly preserved to this day. It offers fascinating excursions and is often used for various cultural events. In Rimini, you can visit excellent archaeological areas. One of them carries an unusual name of The House of the Surgeon. The earliest buildings discovered on the territory of this area date from the 11th century BC. The historical complex got its name after ancient surgical instruments were found on its territory. As can be seen, in the 2d century BC a large two-story house was built there, which existed more than 500 years. Today, visitors can admire beautiful mosaics and fragments of restored prehistoric buildings. 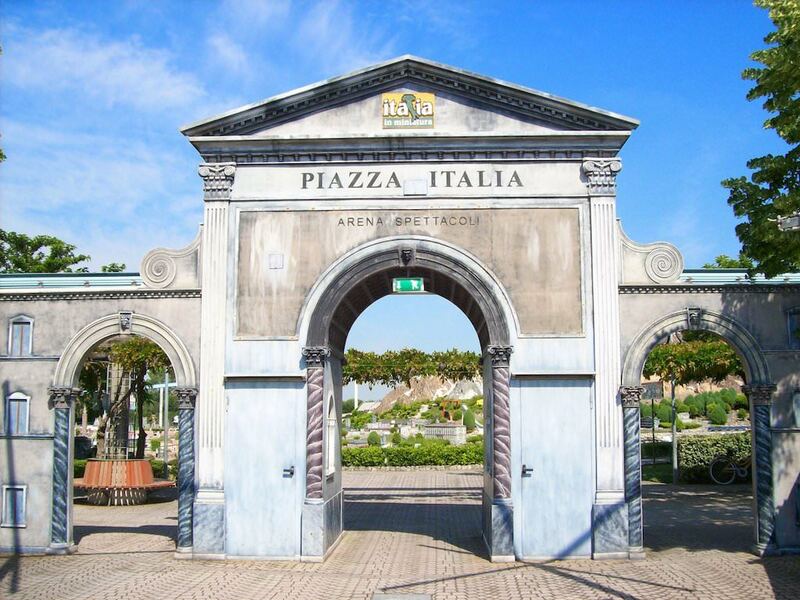 This guide to iconic landmarks and sights of Rimini is protected by the copyright law. You can re-publish this content with mandatory attribution: direct and active hyperlink to www.orangesmile.com. Check on the map: Distance from Rimini center - 39.4 km. Check on the map: Distance from Rimini center - 5.7 km. All about Rimini, Italy - sightseeings, attractions, touristic spots, architecture, history, culture and cuisine. Prepare your trip together with OrangeSmile.com - find out the 'must see' things in Rimini, which places to visit, which excursions to take, where the breathtaking views are waiting for you. Planning your trip with this travel guide will help your to get the most out of Rimini in few days.